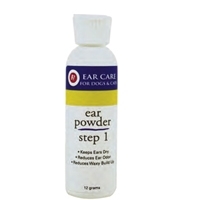 Use Step 1 Ear Powder to remove excess hair and debris from ears, keep ears dry and reduce odor. Use prior to R-7® Ear Cleaner. R-7® Ear Powder contains Rosin Grip™ to improve grip and reduce slip. Gimborn R-7 Ear Cleaner 4 oz. 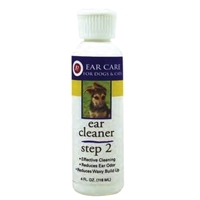 Use Step 2 Ear Cleaner for routine cleaning and odor control around the ear canal. It also aids to remove ear wax and debris. 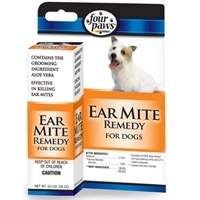 Use after Step 1 R-7® Ear Powder and before Step 3 R-7® Ear Drying Crème. Gimborn R-7 Ear Mite Kit 1 oz. 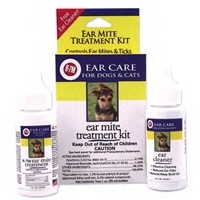 R-7® Ear Care Kits contain Ear mite treatment plus Ear cleaner. 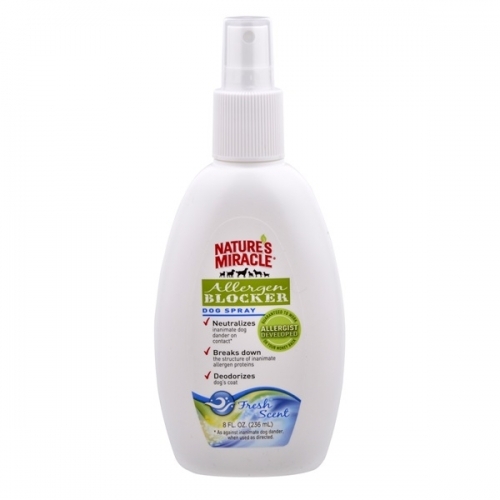 Use both regularly to clean ears, reduce ear odor and control ear mites & ticks. 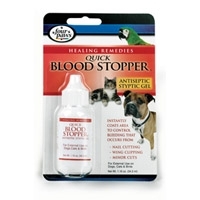 Four Paws Antiseptic Quick Blood Stopper is designed to be used by both veterinarians and breeders to aid in the stopping of blood when docking, cropping and/or nail cutting. For use on dogs, cats and birds. Does your pooch have a potty eating problem? 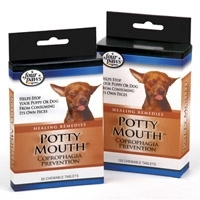 Try our Potty Mouth Tablets that help stop your puppy or dog from consuming its own feces. Safe and effective. Easy to feed chewable tablet. 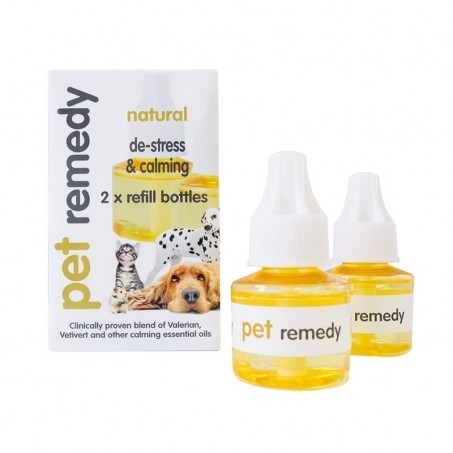 Contains ingredients that will quickly stop pets from continuing this bad habit. 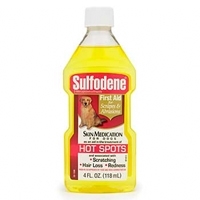 Sulfodene first aid skin medication for dogs aids in the treatment of red, raw hot spots (moist dermatitis), first aid for scrapes and abrasions, the ONLY over-the-counter aid in the treatment of hot spots approved by the FDA. An active dog's best friend. Our potent, aspirin-free formula of White Willow and Pineapple Bromelain helps quickly ease temporary discomfort due to regular exercise and normal daily activity. 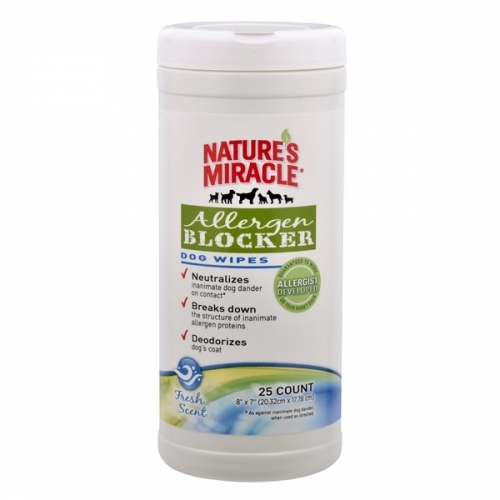 Especially great for very active dogs who are involved in physical training and competition. 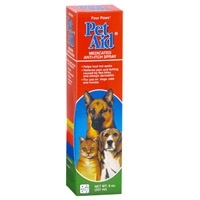 Bramton Company Vet's Best Itch Relief Spray 16 oz. We use the only purest extracts of orange and lemon, plus super fast-acting micronized oatmeal in this extraordinary formula. 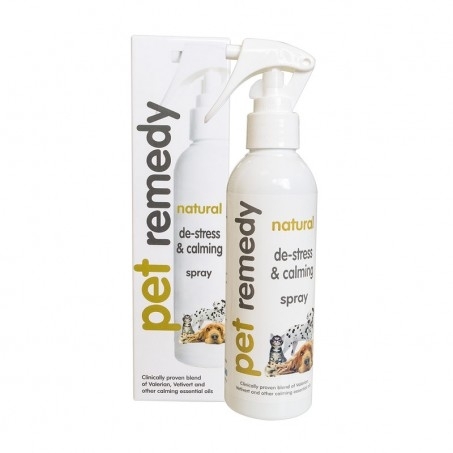 It gently calms and moisturizes red, raw, irritated skin and soothes discomfort and itching due to flea bites. Our ouch-less answer to skin miseries. 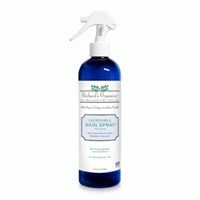 This alcohol-free, no-sting spray quickly calms and relieves painful hot spots. And soothes itchy, raw, irritated skin. 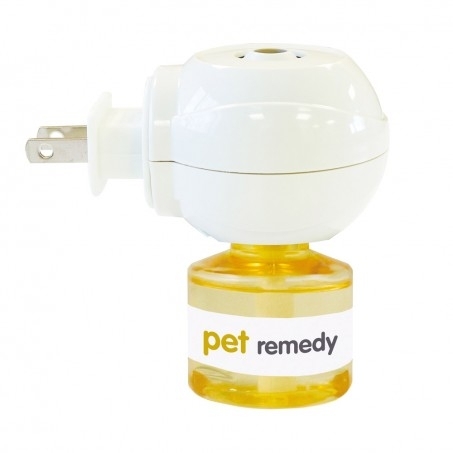 All without affecting topical flea control. For best results, use with Hot Spot Foam and Shampoo.